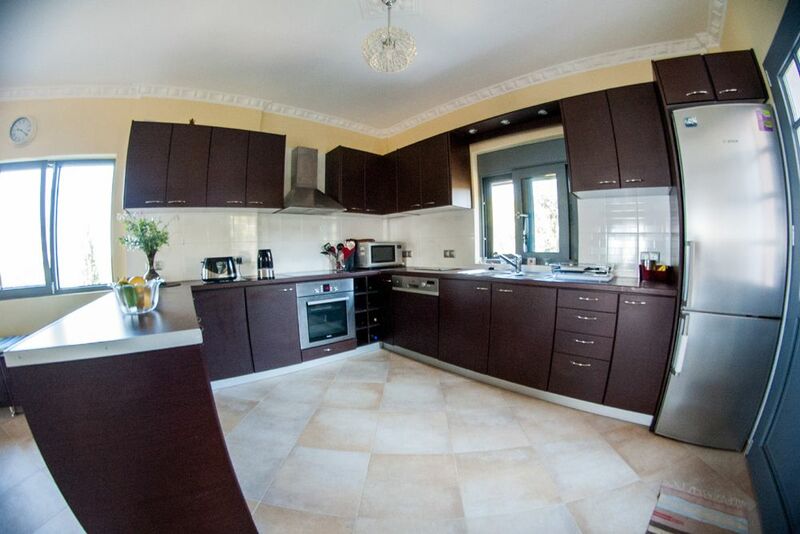 A spacious modern villa, with 5 bedrooms in Kefalonia. 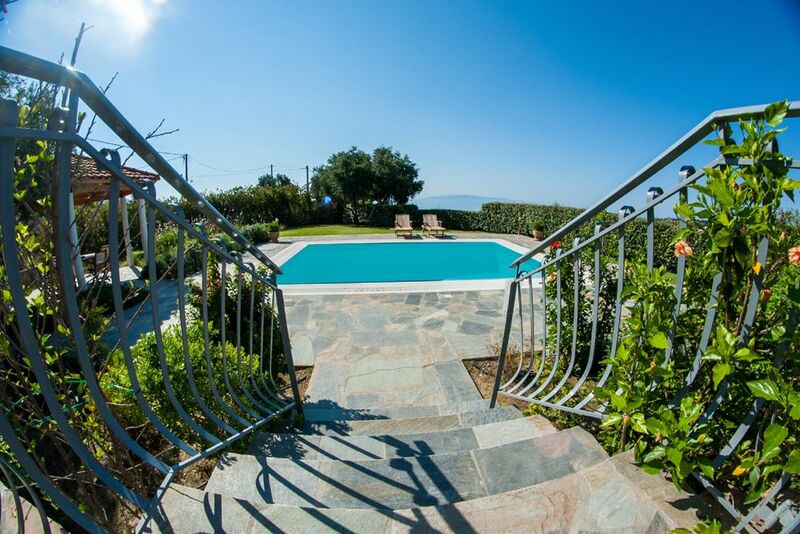 Available for rent, it would be a perfect place for a family, wishing to spend their summer vacations in Greece. 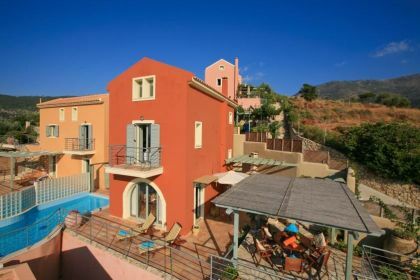 Conveniently located, villa is only 850 m away from the beach and couple of taverns, cafes, a mini-market. 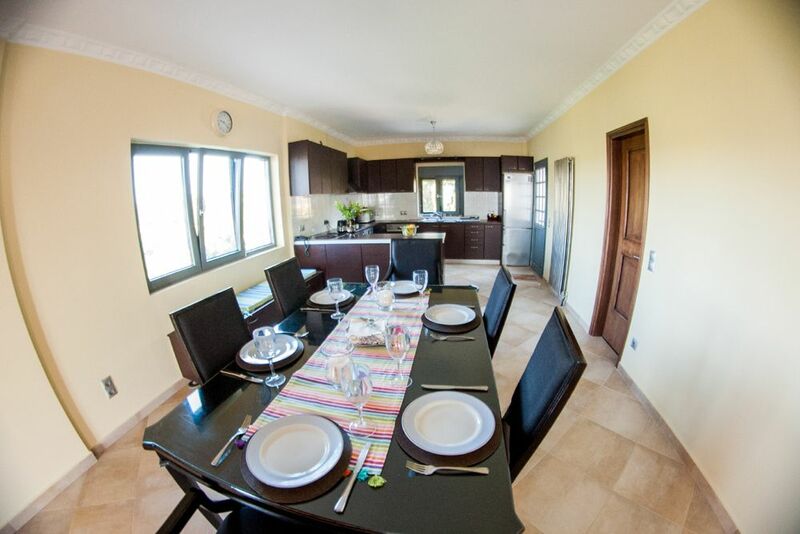 Wider choice of dining and shopping facilities is available in the villages nearby (10-15 minutes’ drive). 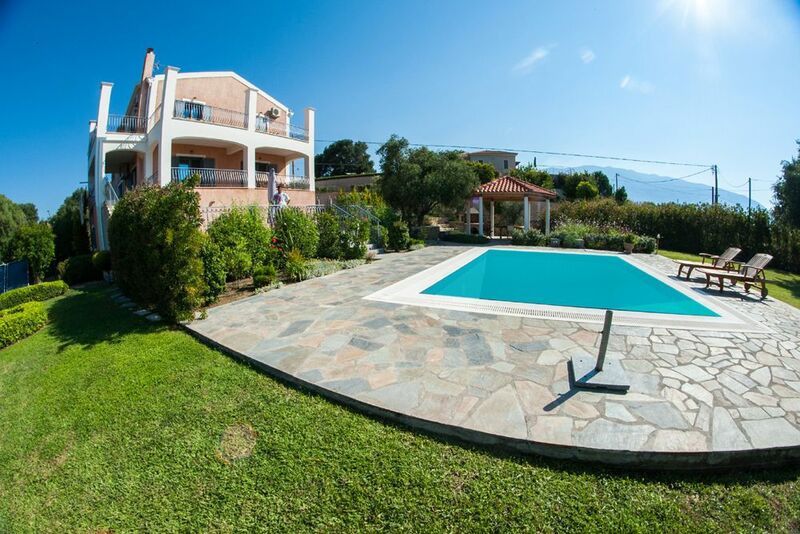 Also, this villa is only 8 km away from the airport and close to the capital of the island, Argostoli. 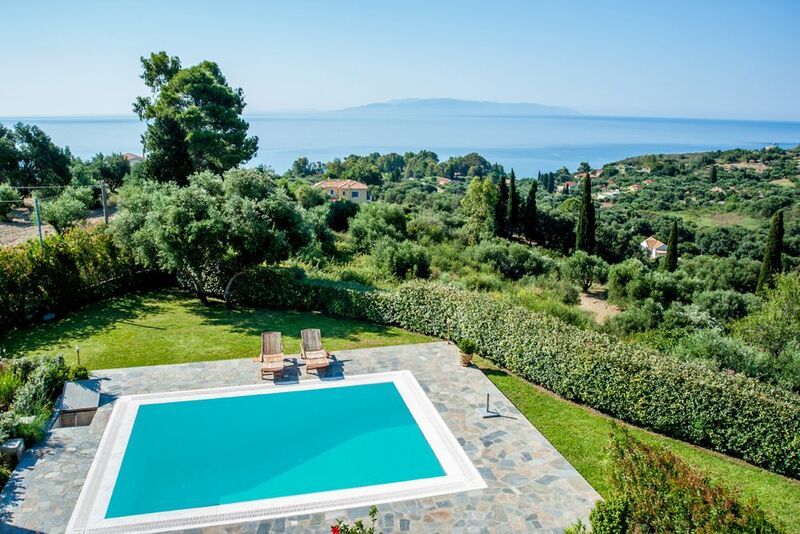 Kefalonia is a popular summer destination for both locals and tourists, it boasts stunning beaches and turquoise Ionian Sea. 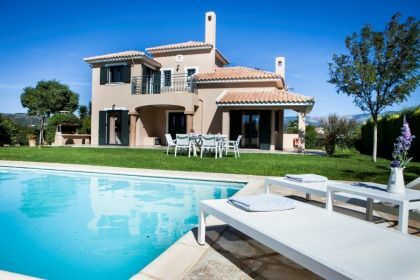 The villa comprises of two levels and comfortably sleeps up to 10 guests within its 5 double bedrooms. 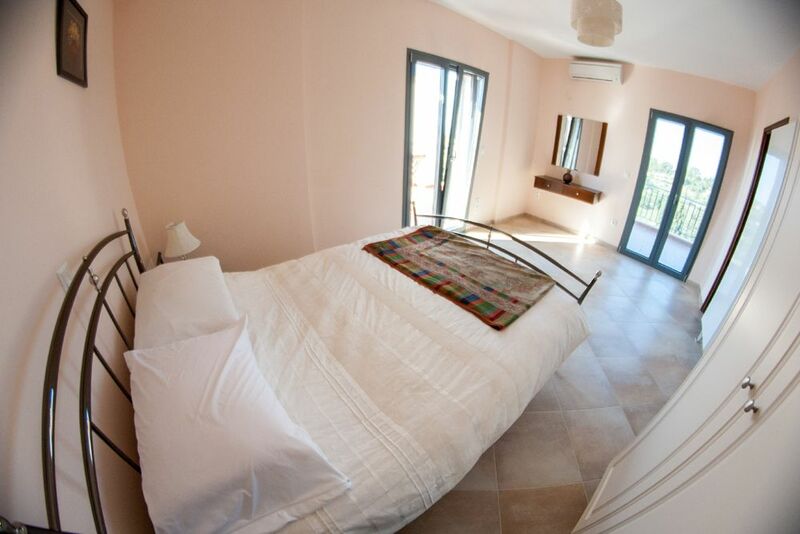 Each room has individual air-conditioning unit, ample wardrobe. 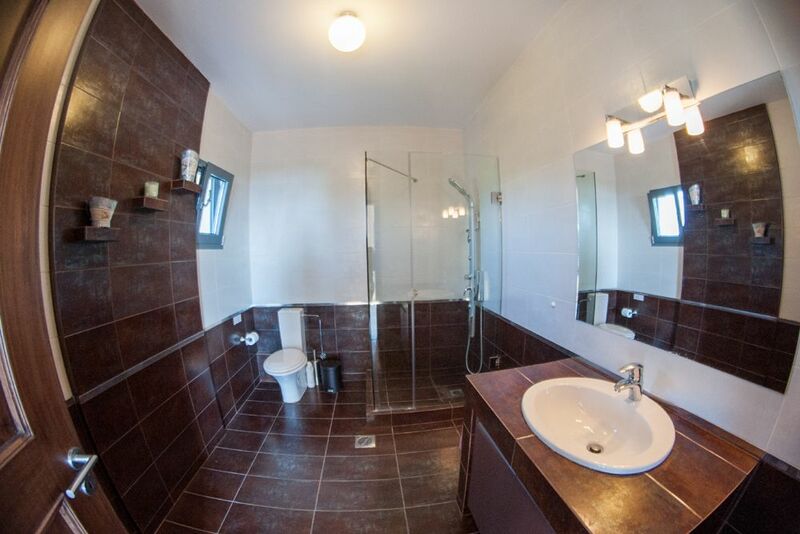 Villa is served by 3 bathrooms for most convenience. Fresh towels provided twice a week together with the cleaning. 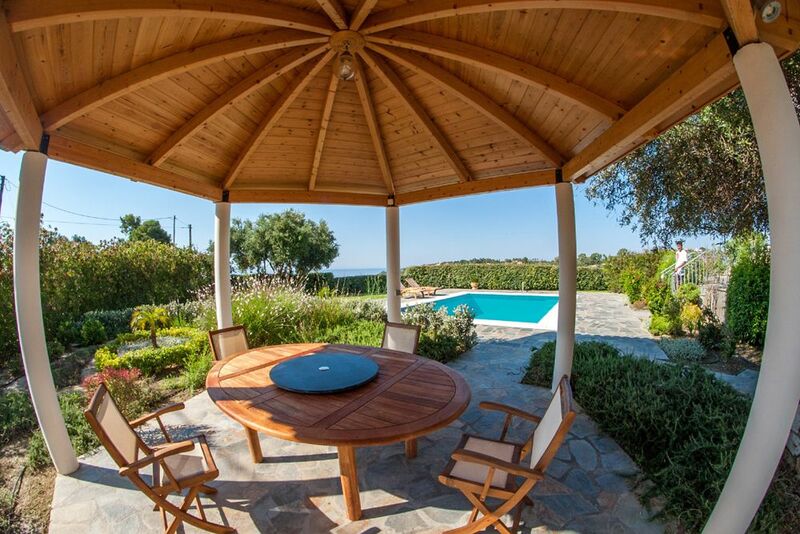 The centerpiece of the villa is a large open plan area, which incorporates a sitting area, dining zone and a kitchen. 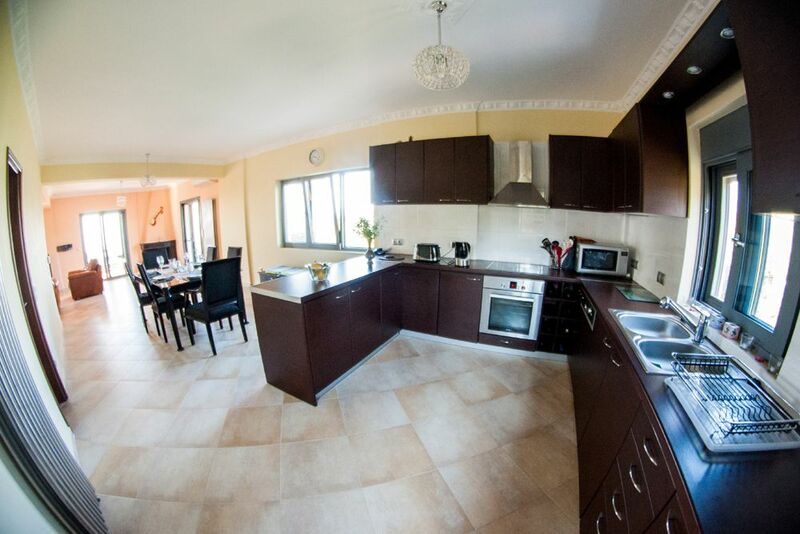 Here you can find all necessary home appliances for self-cooking: oven, hob, fridge, dishwasher, kettle, toaster, coffeemaker, set of crockery and cutlery. 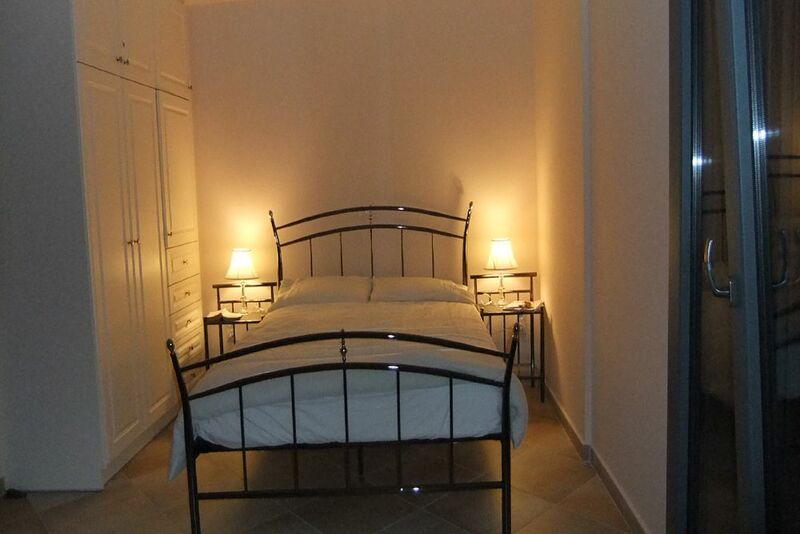 For entertainment, there is a TV, CD/ DVD player and WIFI internet access provided. 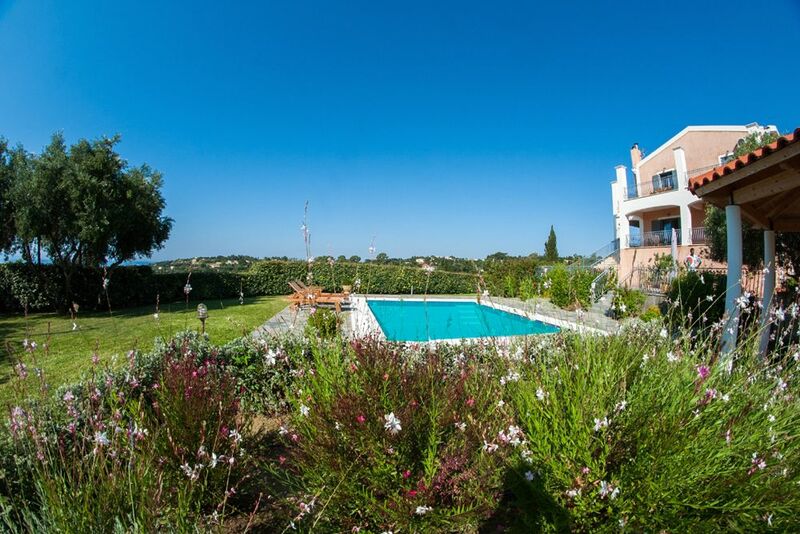 In addition, villa offers laundry facilities (washing machine and ironing set). 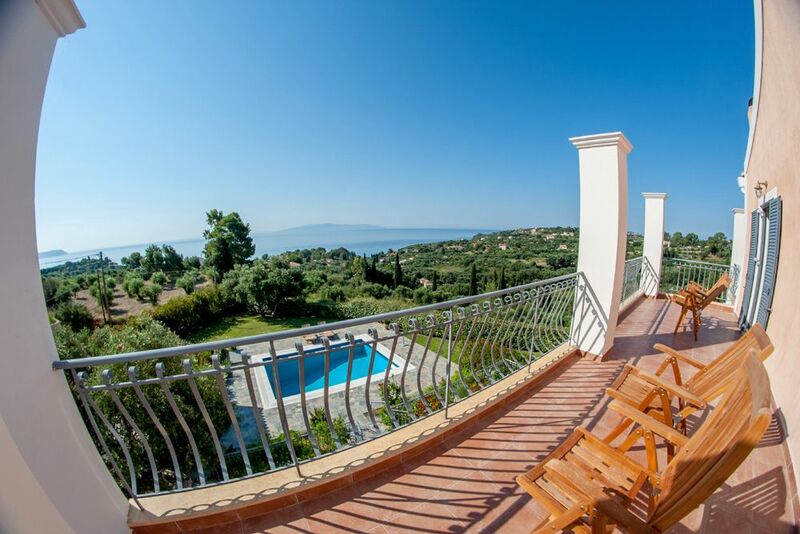 Large balconies surround villas’ both levels, furnished for rest and open air meals. 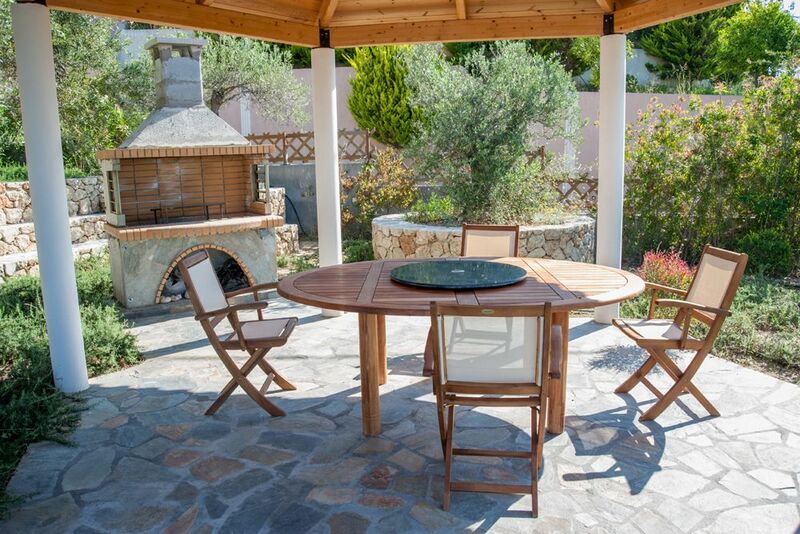 The outdoor facilities of the villa offer: a cozy garden with shrubs and colorful flowers, big paved terrace with a private swimming pool and an organized barbeque are with brick built oven and covered pergola. 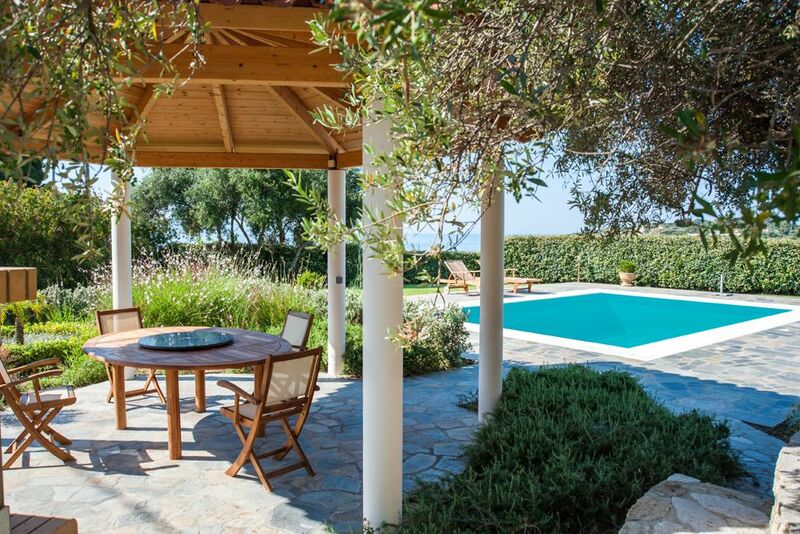 Whatever the reason for your stay, this villa gives you the perfect holiday in Kefalonia. 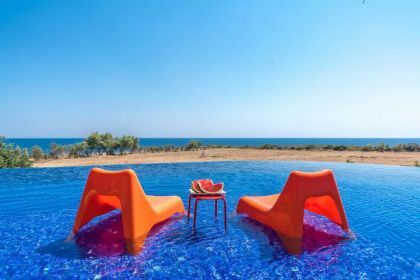 Big enough, it guarantees comfort and seclusion for families to enjoy their stay.